Oral Winsol for women offers you a safe alternative to the anabolic steroid Winstrol without the side effects. In this article, I will discuss the pros and cons of oral Winsol pills for women and what you can expect from this legal steroid. The steroid Winstrol has been used by bodybuilders for decades. It is one of the most popular oral steroids that is used during cutting cycles. What Winstrol does is help you lean out while maintaining lean muscle. Oral Winsol pills is a close as you will get to the anabolic steroid Winstrol without the side effects. If you are looking a safe steroid alternative to Winstrol, Winsol will help you get a ripped and toned body with no side effects! Oral Winstrol makes the perfect substitute. Winstrol is a steroid also known as (Stanozolol) it has been used by bodybuilders and fitness models for decades. Winstrol was originally developed by Winthrop labs in the early 1950's. Winstrol has received a lot of media attention over the years. Winstrol is one of those steroids that a lot of people have heard of, even if they have never used it. There have been many athletes who have been tested positive for using Winstrol. Some of those athletes include Canadian sprinter Ben Johnson, American sprinter Justin Gatlin and Minnesota twins pitcher Ervin Santana. Women athletes have also used Winstrol but have been better at keeping it out of the public eye. 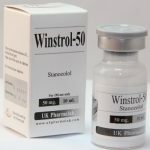 Winstrol is considered a mild steroid, this is because men suffer little form this anabolic steroid, however, for women its a different story. The side effects are more pronounced in women. Long-term term side effects can cause symptoms of masculinization meaning women can begin to notice man like traits. Some of the more severe side effects are clitoral enlargement (Clitoromegaly) hormonal imbalance and deepening of the voice. As you can see, the side effects from anabolic Winstrol are not as bad as other steroids but it can still have a negative impact on your health. Lifting weights and diet are only 50% of the battle needed to transform your body. Ever wonder how those fitness models and bodybuilders look so good? Most of them take some kind of sports enhancing supplement. It takes more than diet and exercise to uncover lean and toned muscle. Winsol is used as a cutting agent that will help you burn fat while maintaining lean muscle. What are Oral Winsol Pills? Burning fat while maintaining lean muscle is easier said than done. Winsol helps your body burn stored fat quickly while preventing muscle loss. Legal Winsol contains a blend of proprietary ingredients to help burn fat while retaining hard-earned muscle. Winsol can be used when you need to lose weight and maintain muscle. Women can use Winsol during a cutting cycle. fasted cardio or for boosting strength. Winsol not only makes it easier to eliminate body fat, it also helps boost energy making it easier to bust through strength plateaus and give you plenty of energy to train harder and longer. Anyone who performs any kind of physical activity and needs more energy, strength, and endurance. 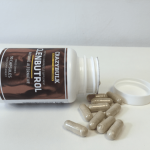 This is one of the most commonly asked questions, most supplements are rather vague when disclosing customer results. 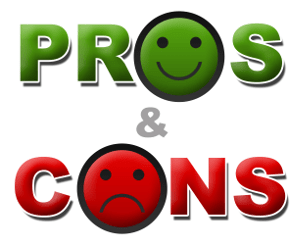 Legal Winstrol has dozens of customer testimonials from both men and women who have used their product, 99% of the customers have had a positive experience. Winsol is made from all natural compounds, there are no side effects! Winsol can be cycled on and off for extended periods without having to worry about it harming your body. 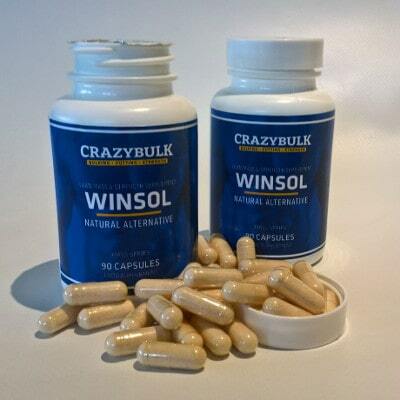 Winsol should be taken 3 times a day with meals, each bottle contains 90 capsules and will last for a full 30-day cycle. For maximum benefits, you should take Winsol even on non-workout days to keep your metabolism working overtime. For best results, you should take Winsol for 2 months, then suspend or 30 days and cycle again as needed. 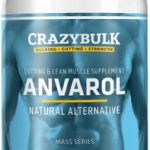 Winsol is the closest thing you will get to an anabolic steroid without the side effects! Winsol is effective and delivers everything it promises. If you have been looking for a product to get you lean and ripped Winsol delivers results. Winsol should only be purchased from the official website, this will ensure you receive a genuine product. The company offers a buy 2 get 1 one free and ships worldwide for free. A one month supply of oral Winsol (90 pills) cost $61.99.